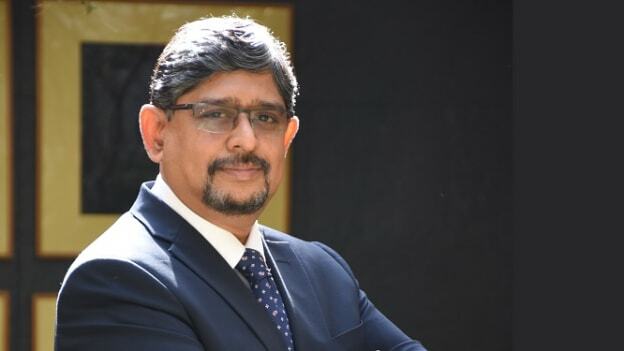 A thought leader in the digital HR space and an HR professional with more than 30 years of experience, Vasudevan Narasimha, Executive Director Human Resources, KEC International Ltd. talks about KEC and RPG’s HR digital transformation journey. KEC Internatioal Limited is a global infrastructure Engineering, Procurement & Construction (EPC) major with presence across Power Transmission & Distribution, Railways, Civil, Smart Infrastructure, Cables and Solar. It has powered infrastructure development in 100 countries across the world and successfully executed projects in inhospitable terrains. In recent years, one of the top priorities for KEC has been transforming its HR capabilities and adopting technology for better business results. From evolving the hiring process in the organization, streamlining recruitment, learning and development to succession planning, they have put in place a unified digitized HR platform bringing employee experience at KEC to a whole new level. A thought leader in the digital HR space and an HR professional with more than 30 years of experience, Vasudevan Narasimha, Executive Director Human Resources, KEC International Ltd. talks about this transformation journey and shares some insights. HR professionals across the industry have had mixed views regarding technology impacting work and HR. How do you see technology, as a boon or bane? We have extensively focused on academic or practitioner research, of which structures and presentations are published in magazines. The main crisis faced by Indian industries and HR professionals, in the beginning, was the difficulty in communicating with each other. A few bodies like the national HRD network and two schools of training such as ISTD and ISAB were the only active forums where people could gather together to keep in touch. We never enjoyed the benefits of communication technology or networking that is available today, yet it allowed us to create a strong bond of fraternity. I believe technology has made a huge impact in such a scenario by offering solutions to these difficulties. Every aspect of the function is professionalized in the field including talent acquisition, learning and development, among others as a reward of science. While being creative remains a human endeavor, the ability to create thoughts and concepts which can be executed is far more superior than those days because of the presence of technology. When did the digital transformation journey begin for KEC and how has the journey been like? The tech implementation in RPG Group dates back to the year 2013 with the choice to buy SAP SuccessFactors. The journey of both RPG Group and KEC as a company began by the end of December 2014 when the latter decided to buy SuccessFactors Employee Central with an putting in place a cloud based solution replacing an archaic system as the RPG Group had decided to implement the Talent Management suite. After the failure of the PMS module in April 2015, we did a pilot of the PMS which was re-configured by our team in 1-week meeting 90% of the requirements. This resulted in us taking over the implementation of HR digitization in the RPG Group. This success encouraged me to make a big hairy ambitious commitment to the CEOs, CHROs and CFOs of RPG Group to deliver one module every 45 days. We successfully re-configured the first fully functional PMS module in 24 days. Today we have deployed all the modules. In addition, we have been able to assimilate disparate technologies as well to create an end to end experience that is far superior. What were some of the challenges that you faced in this entire transformation journey and how did you overcome them? There were some classic change management failures. The aspects of digitization require you to follow certain methods to avoid these management failures. If you were a group company with individual stakeholders, it is extremely important to maintain communication with the HR teams of other companies. Secondly, the individual companies, their CEOs and the HR team should be given the ownership by considering the group office like an umbrella which is capable of bringing all the companies together. The digital transformation process demands you to replicate the existing processes by re-engineering and molding it to give a world-class status. One of the difficulties that should be avoided in the digitizing process is the high levels of customization of the module which is often done along with the configuration. Finally, the capability of implementation that deals with how to engage a team to lead a productive implementation process especially. The people in our organization own implementation and individuals from every group company participate and configure every single module. The presence of greater ownership, communication and a larger digitization team generated opportunities for co-creation in our company. And this spirit of co-creation did wonders for us in the context of implementing the technology. What are some benefits of technology that you have derived through the entire employee life-cycle in your organization? Digitization has brought a higher degree of transparency in the organization. For instance, feedback that provides an opportunity to the employees to know themselves and communicate with their manager about their growth and career path is now real-time with the use of technology. From the employee’s point of view, it has created a transparent platform for dialogue by providing people with an opportunity to have a more meaningful dialogue and focus on the key conversations. Overall digitization has unique benefits for everyone. For example, in the context of leadership, digitization offers a clear line of sight to the last of the employee in the organization and their involvement in the execution of a project. The benefits of tech are just phenomenal and the impact is all pervasive. But overall digitization has unique benefits for everyone. For example, in the context of leadership, digitization offers a line of sight to the list of employees in the organization and their involvement in the project. The benefits of tech are just phenomenal and the impacts are all pervasive. Even if the context would change from one organization to other, the objective of and the focus on the outcome of digitization would not change. In your opinion, how can you create HR capabilities to be able to lead a successful digital transformation? What you need to focus on is co-creation. For instance, the first module that we implemented was in the Infrastructure sector of which the entire KEC HR team became a part of. My HR team which led the implementation consisted of people who were both engineers and HR professionals, who ably supported me in this change management initiative. The whole idea was that every single principle of this project has to be taken care of and for this purpose, they worked out the configuration and formulated rules that had to be followed. Co-creation enabled us to manage skepticism and through engagement, we managed to create a formidable implementation team. A productive discussion of ideas or objectives with your team will always help you to set the tone of the change that you want to see in the project. Primarily, I wanted them to be conscious that we would definitely deliver a world-class solution. Then I suggested that what we configure for KEC on Employee Central would be standardized so that we can pick and drop the same configuration in any of the other Group companies. We ensured that the configuration should be Simple, Standardised and Scalable, and have created a significant benchmark of implementing a single instance across all Group companies. Can you point out the new solutions you intend to introduce in the next years? While digitization is the beginning or the first step, ‘going digital’ is about how technology will impact the HR models that have been deployed. It is important to observe the difference between the two. For us, going digital means reimagining the HR processes and leveraging digital capabilities to enhance employee experience. Going forward we would continue on building our digital staff and will be working on enhancing the capabilities of our people. Secondly, we would continue to work with multiple vendors and companies which are able to integrate the HR. Recently, we launched a bot ‘electra’ which enables people to interact and exchange information with others, to do appraisals or to log into the system itself. We are well advanced in terms of tech implementation and plans are made for the next three years to create a unifying system for all HR processes. Power BI has become our HR analytical tool, a dashboard provider which helps us with information to help us in decision making. And the third aspect of enhancing employee experience aims at paperless onboarding and ensuring services to employees for completely digitalizing them. Other focus areas include reviewing single digital broadband that we have created within our group company, re-establishing the next level of digital for improvisation, and cutting out of the POCs for all the new techs that are coming in.